Is there a better alternative to BatchImageCropper? Is BatchImageCropper really the best app in Designs and Graphics category? Will BatchImageCropper work good on macOS 10.13.4? BatchImageCropper is an app that allows you to easily crop multiple images at one time. 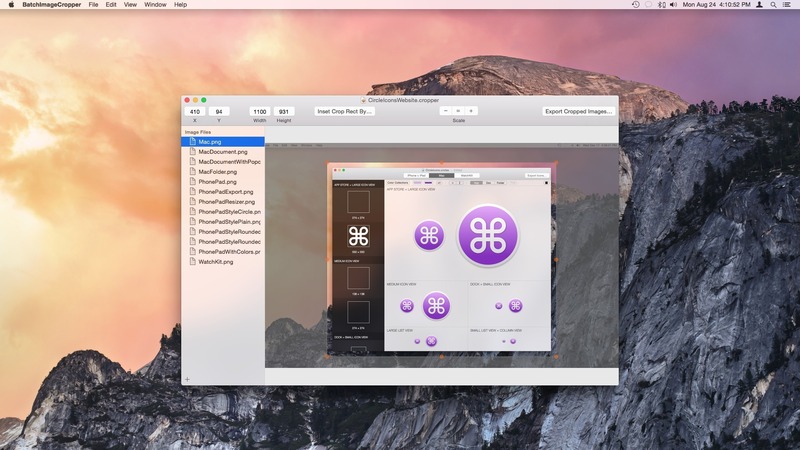 Drag over multiple image files, ideally all of the same size, into the source list. Adjust the crop rect to the desired size. Export the newly cropped images as PNGs, JPEGs, or TIFFs. The crop rect can be inset by a specified number of points using the inset window. BatchImageCropper needs a review. Be the first to review this app and get the discussion started! BatchImageCropper needs a rating. Be the first to rate this app and get the discussion started!